As the Defence Blood Challenge celebrates its first decade, Minister for Defence Personnel Darren Chester has announced the commencement of the 2018 drive. Held from 1 September to 8 December, Minister Chester said the Defence Blood Challenge, now in its 10th year, is Australia’s largest annual blood donation event. 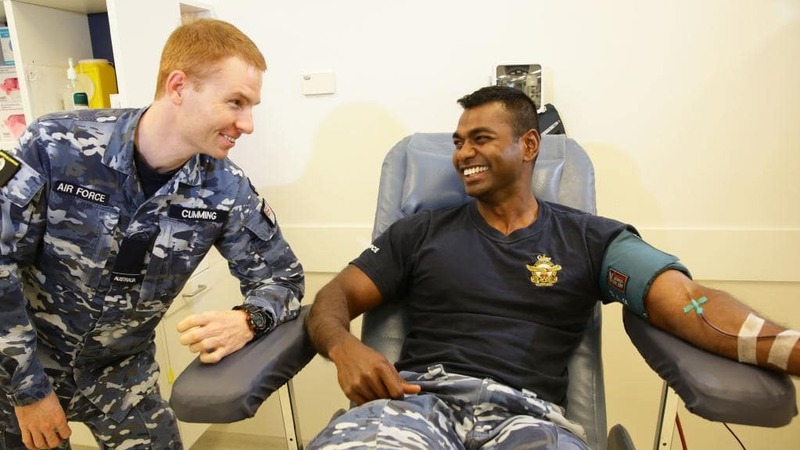 "Through some friendly rivalry between the three services and Defence civilians, the Defence Blood Challenge aims to strengthen Australia’s blood supplies and support the Australian community," Minister Chester said. Over the past nine years, the Defence Challenge has contributed 101,803 donations. That’s amounts to 305,409 lives saved. Blood donations help people with cancer, childbirth complications and many other serious medical conditions. Challenge titles up for grabs this year include most donations, the highest percentage of donors versus service members, highest number of new donors and highest donation growth. Minister Chester urged Defence personnel and their families to roll up their sleeves, saying, "I encourage all Defence personnel to get involved, register for their relevant Red25 group and donate to an incredibly worthy cause. One whole blood donation can save up to three lives. With Defence personnel and their family and friends rolling up their sleeves, Defence should hopefully reach the target of 7,000 donations." Australian Red Cross blood donor services manager Sue Guthrie praised the ongoing support from Defence and its contribution to the challenge. "The need for blood never stops. Patients fighting cancer, infections and blood diseases are relying on donated blood to keep them healthy," Guthrie said.